Pre-order: Amazon.com, Amazon.co.uk, Amazon.de, Amazon.fr, Amazon.es, Amazon.it. Meanwhile UnrealitySF's Jens Deffner, who normally fills me in on all things German, has pointed me towards a snippet of news: In the "About the authors" section of ReDeus: Divine Tales, a recent fantastical anthology with contributions from many regular Trek writers, the section on William Leisner notes that "He is currently at work on a Star Trek Original Series novel". 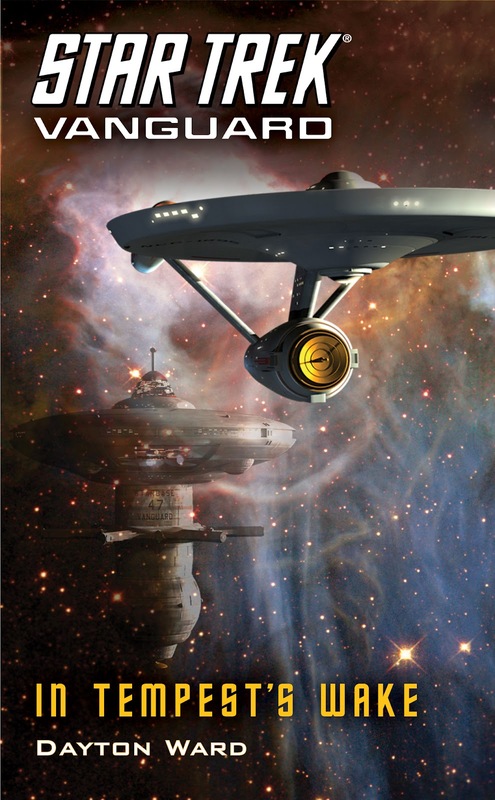 If said novel is intended for the 2013 schedule that will take us up to five TOS novels net year, yikes! Not to leave me lacking on news from Germany, Jens also reports that an audiobook release of the Destiny trilogy in imminent. With Lutz Riedel's reading of Die Götter der Nacht (Gods of Night) due next month.